I t seems that the first half term in Year 5 has passed us by in the blink of an eye and we are now almost in to half term. The children have all been extremely active during the last few weeks: In Literacy they have been learning about the life of Martin Luther King Jr, incorporating Black History Month and seeing how his actions changed the future for so many coloured people. Oreos came in useful when learning about phases of the moon!! Who knew that the moon is in fact made from chocolate and not cheese!! We are looking forward to meeting parents and carers at the upcoming parent's evenings - appointments can still be booked. Welcome back to a brand new term! 5CL are settling in very quickly and getting used to their new teachers. We have Mrs Ching on a Monday, Tuesday and Wednesday and Mrs Lees on Wednesday afternoon, Thursday and Friday. We would like to remind everyone that P.E is on a Monday and that all children should be bringing in their school P.E kit ( see website for details). It is best if it can be left at school - no chance of forgetting it then! We are looking forward to an exciting and enjoyable term ahead and learning as much as we can. We have already started learning about the Ancient Mayans and the Solar system in Science. Much more to come! Just a gentle reminder to check your child's bags this week. Miss Bozier and Mrs De Lellis have written 4BD's reports, these have been given to the children in envelopes addressed to parents/carers. Completed work has also been sent home, however their current books have been sent to their new class teacher in preparation for September. We would like to thank you for all your support this year. It has been a pleasure to have taught 4BD and we wish them all the best as they enter year 5! Today in science we were learning to recognise positive and negative changes to our local environment. Our environment is always changing around us as we grow, so knowing what good or bad changes are is really important to us in 4DH! 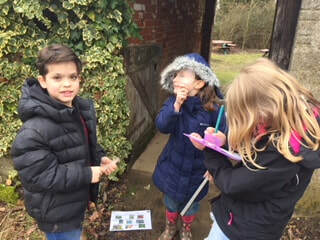 We put our investigator hats on and went investigating around the school grounds for changes to the environment. Specifically we were judging how much of an effect these changes had on animals and their habitats. 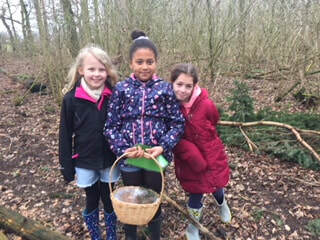 We discovered that a habitat is a place where animals and plants live, and where they can find everything they need to stay alive. On our investigation around the school, we looked at newly built houses and roads surrounding the school. 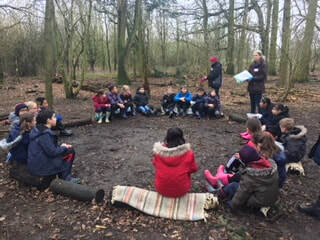 We also discovered litter and spoke in depth about how these changes negatively impact animals and their habitats and what we, as humans, can do to help. We made a pledge to never throw our rubbish on the floor and to help by picking any up which we see. 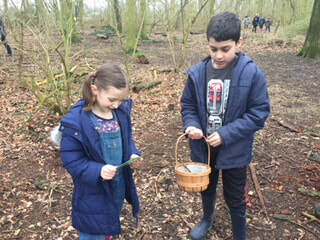 4DH love working practically in science, so this investigation and exploration of the environment was exciting for them. 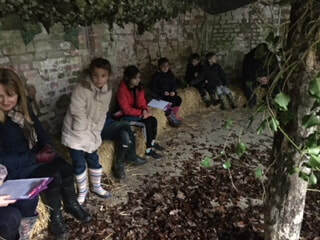 It even inspired some of the children to write short pieces of persuasive writing to get humans to stop negatively impacting animals and their habitats. I think we've got a future scientist on our hands 4DH! 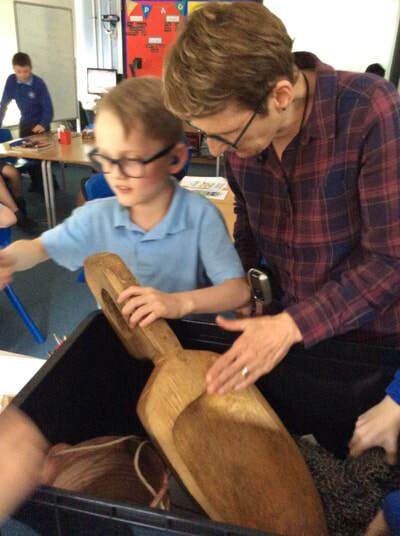 This week 4DH were lucky enough to be given the chance to try on some Anglo Saxon artifacts. 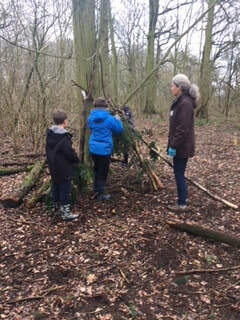 They were kindly donated by a parent from 4S who has connections with Sutton Hoo. 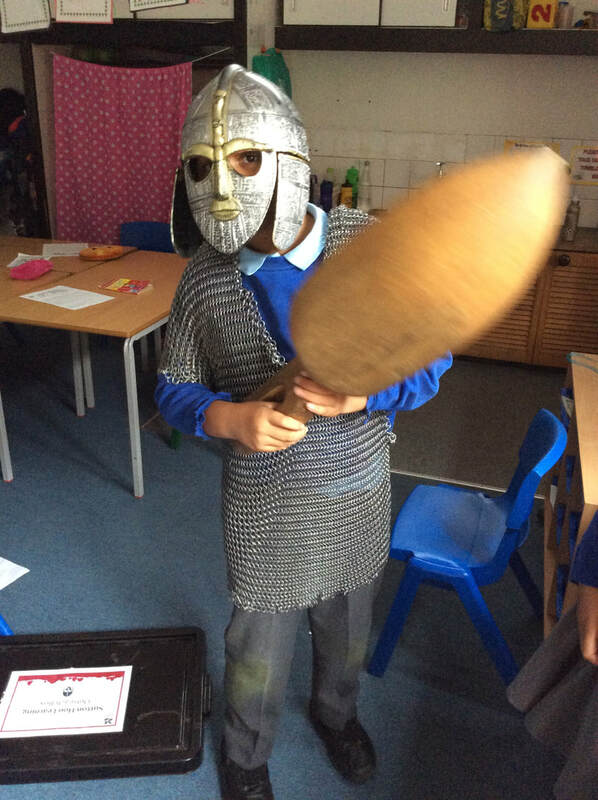 This term we have been learning all about the Anglo Saxons, so to be able to feel like they were striking in our class was very exciting! 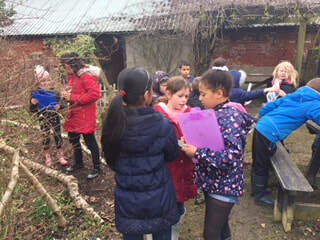 This week we were fortunate enough to visit Foxburrow Farm as part of our Geography topic on Rainforests. 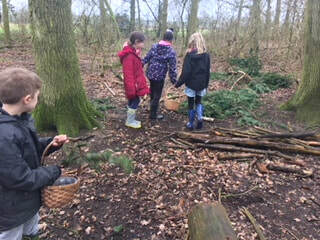 Scavenging in the forest to find suitable items that we could use for food. 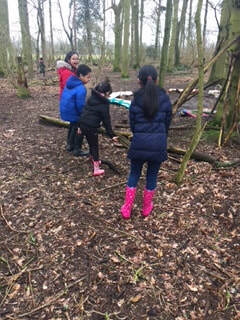 Creating dens with branches and leaves that we could find. Learning about products that we use today that come from the Rainforest. A game to explain the process of deforestation. Looking at plants from the Rainforest as well as the UK and comparing them. Sitting in a Rainforest and listening to the sounds we would hear. 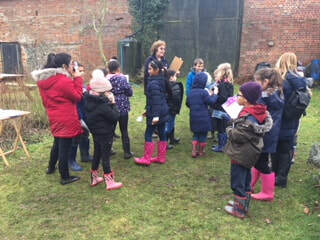 We all had an amazing time and would like to thank all the volunteers at Foxburrow Farm who made us all feel so welcome . 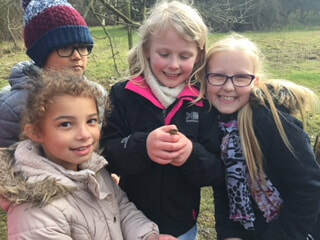 The farm is part of Suffolk Wildlife Trust, who have many exciting things planned over the Easter Holidays, click on the website link below for more details. This week 4BD worked with a Mad Scientist to complete their final junior electrician mission. Our sparky scientist question was: have you ever received an electric shock and wondered how it happened? 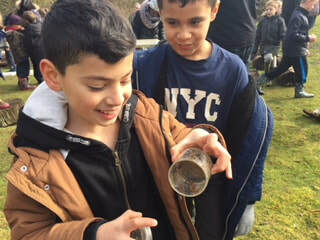 To explore the concept of static electricity, the children carried out some exciting, hair-raising experiments and learnt all about atoms, protons and electrons. The children charged up a balloon by rubbing it on their hair, jumper or the carpet. When we then placed the feathers close to the balloon, they attached as positive and negative charges attract. 4BD also explored how they were conductors using the Van De Graaf machine and ball buzzers. Some brave members of 4BD even gave Miss Bozier an electric shock! Have a go at answering the below think like a scientist questions. How can you make Rice Krispies magically jump from the table to the surface of your balloon? Last week year 4 started planning a discursive piece of writing based on our book ‘The Lion and the Unicorn.’ We thought about what it means to be courageous. 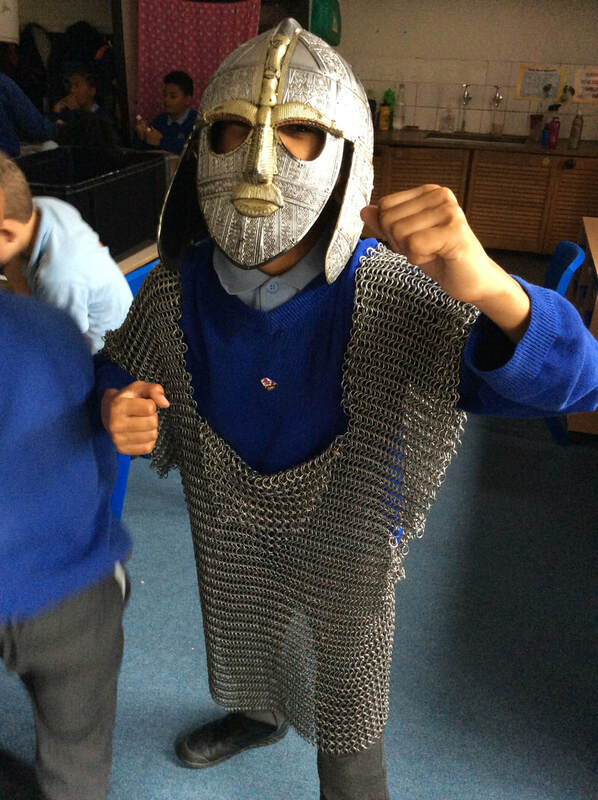 The children explored different types of courage and researched everyday acts of bravery. We discovered how famous people (past and present) were fearless and bold. 4BD were surprised to learn that even animals can be courageous. To support your child with their literacy work, please discuss how they or someone they know has demonstrated courage. 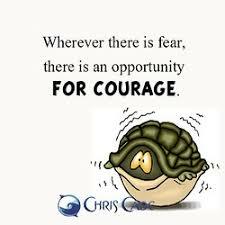 If possible, spend some time talking to your child about when they have conquered a fear or overcome a challenge. Despite feeling scared, how have they still shown bravery. Your child brought home a copy of the talk homework on Friday. There is a grid on the homework sheet that can be be used for your child to make notes which they can refer to when writing. Today 4BD were lucky enough to go on a school trip to the Martlesham Heath Aviation Society. The Aviation Society aim to preserve history whilst educating all. Following topic this term, we are now all WW2 experts so today put our knowledge to the test. 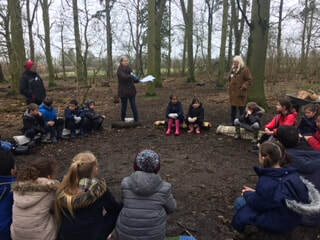 Once we arrived 4BD sat and listened intently to a informative presentation and were really keen on sharing their knowledge of children in WW2! The children were particularly surprised by how much devastation the bombs used in WW2 created for people just like them. After this, we explored the Aviation Society's own museum. We were amazed by how many genuine WW2 artefacts there was for us all to see and touch. The volunteers at the museum were so helpful and answered all of our questions. Vincent and Tyrese from 4BD got a guided tour around the american war museum! Very lucky members of the class. Next was the bunker experience. 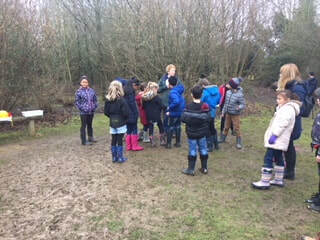 The children were led underground into a real life WW2 bunker! We were only lit up by a small lantern and huddled close together on two benches. 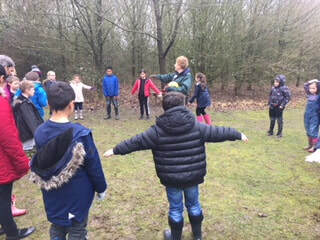 We listened to the sound of a genuine air raid whilst we kept close and safe in the bunker, whilst imagining what it would have truly felt like to hear those sirens go off. We were left with the thought of how lucky we are to have our friends and family around us, as for children in WW2 this may not have been the case. 4BD owe a massive thank you to the Aviation Society for allowing us this WW2 experience. Not only are we WW2 experts, but we can now all say we have been in a real life WW2 bunker! Here is the Aviation Society's website if you wish to find out anymore information and become even more of an expert!! First of all, thank you ever so much to all the parents who gave up their time to join 4BD for the Christmas craft morning. It was lovely to be able to welcome so many of you into our classroom. We all got into the festive spirit and the children thoroughly enjoyed creating products to sell at the Christmas Fayre. Our 3D snowflakes proved how resilient we could be and these decorations really have the WOW factor. Make sure to purchase our reindeer hot chocolate cones, snowman photo frames and festive bracelets as well. Remember to come and buy them at the Christmas Fayre on Friday 8th December from 3.40pm until 5pm. 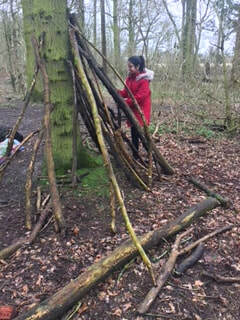 This blog will be updated by Miss Bozier and Mrs Delellis and the children. Check back regularly!